I know that you all have been on the edge of your seat just eagerly awaiting the newest episode of the GRE well WAIT NO MORE!! 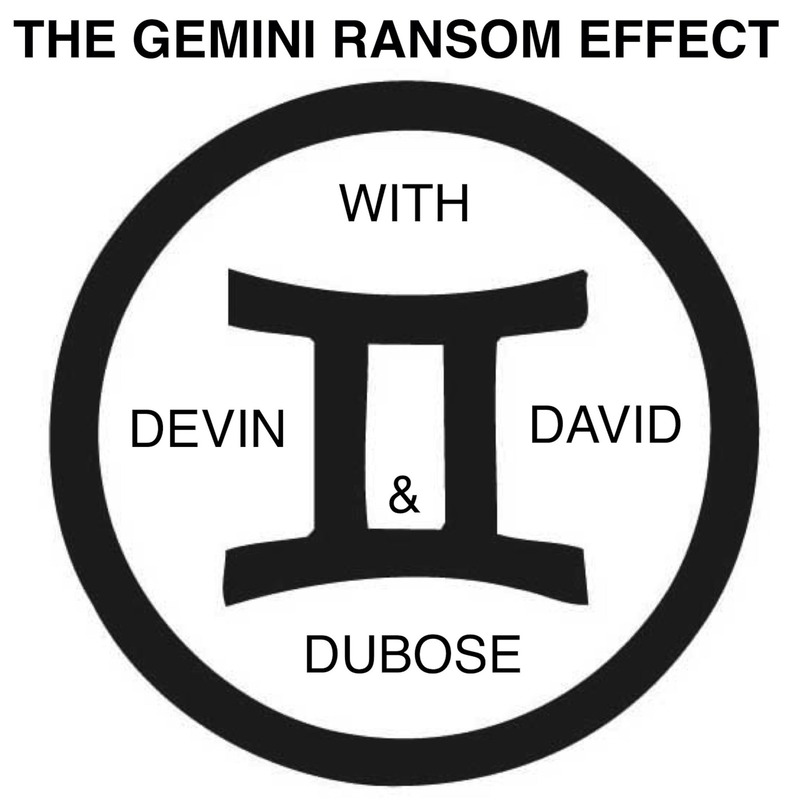 Ladies and gentlemen it is finally here yes we are talking about Episode 32 of The Gemini Ransom Effect. In this episode Devin gets into "Local But Mostly National News" and we discuss a Mississippi State student that gets arrested for charges of terrorism, A local teen is charged with vehicular homicide, should states require able bodied people to work for their food stamps? and what is the little pocket on your jeans for? In Sports the Sports Dr. James DuBose pronounce (Shames De'bwa) delivers us some riveting updates on the Hawks, the opener with the Braves, and good old Pappa D' delivers us the NASCAR update and we discuss a NASCAR cigarette smuggler. In "Tech Talk" we get into shoe fashion... That's right folks GRE with Triple D' goes fashionable with throw back "futuristic" shoes from Reebok for Alien Day? on April 26? And last but definitely not least David "Action" Jackson gets into "National Facebook News" and tells us about Drive Through Prayer? he also informs us about a 19 year old that saves a woman from committing suicide, and a local man blows his leg off with some Tannorite?!? !